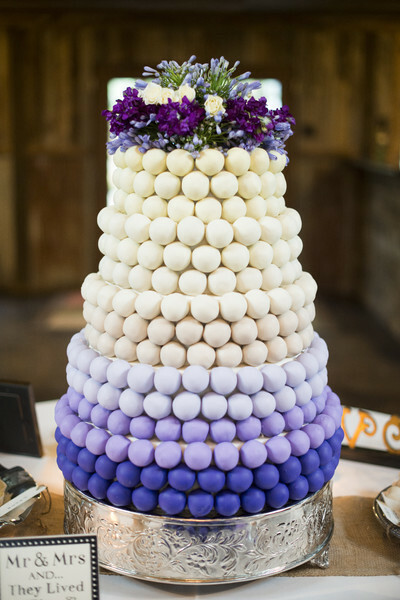 The overall design of the cake is so modern and elegant, it just takes your breath away. 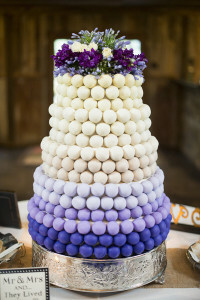 The ombre purple cake would be stunning at a fall wedding but it would also work in the spring or summer. The addition of fresh flowers on top of the cake just adds to the beauty of the confection. You can find this cake here. It was created by Cake Bites.